Morelia spilotes cheynei, originally uploaded by EcoSnake. 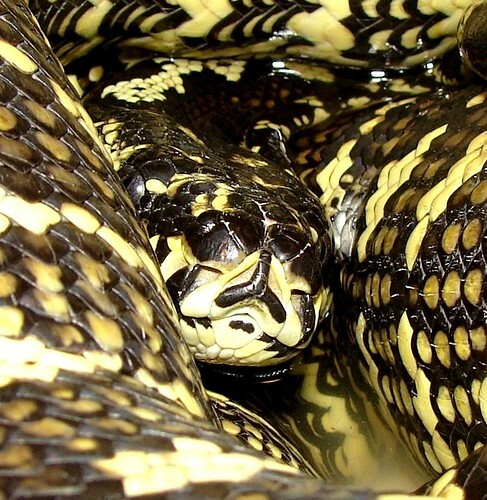 “Shaggy” is a Jungle carpet python (Morelia spilotes cheynei). He was a rescue from some folks who had purchased him in a pet store and had no idea how to care for him. He’s a native of Australia.